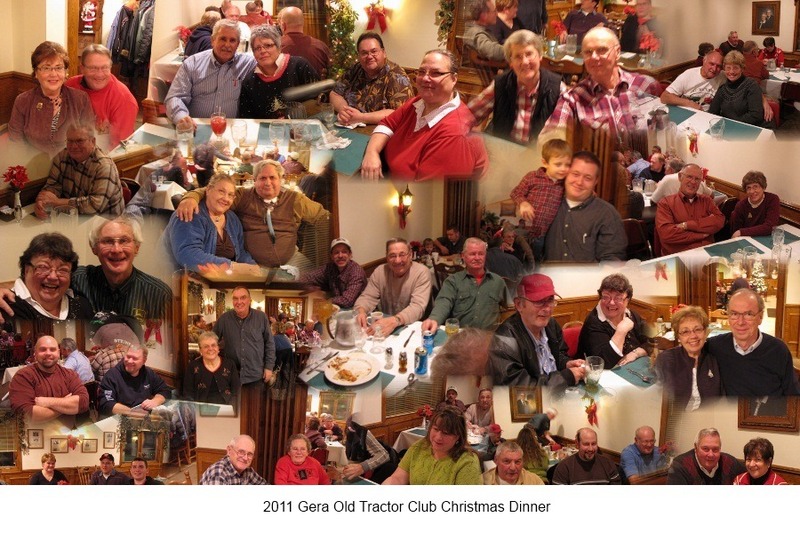 The club has a New Idea cornhusker that we like to get out and play with a few times a year. 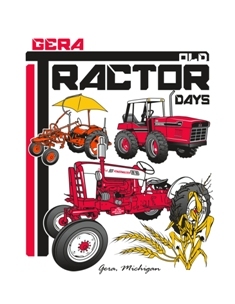 Always a hit at the tractor show! 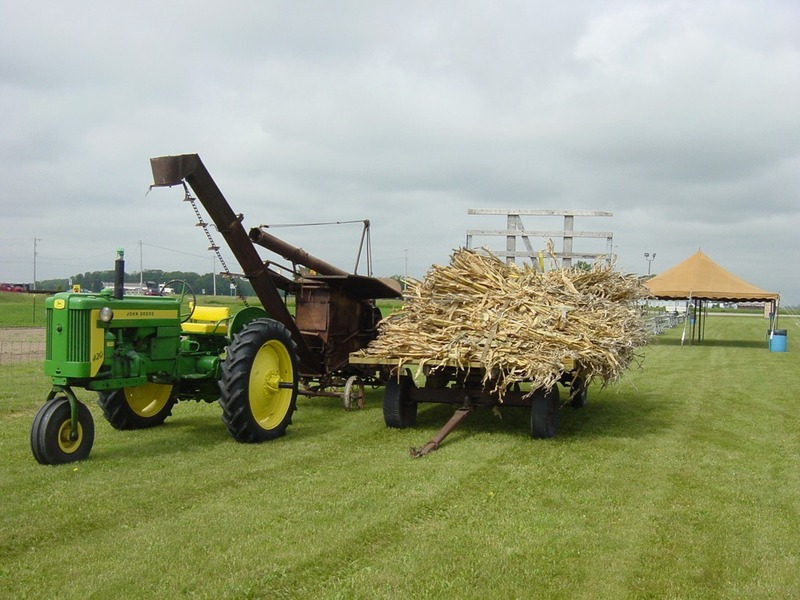 Here’s a nice shot of the husker behind a JD with the corn ready to go! 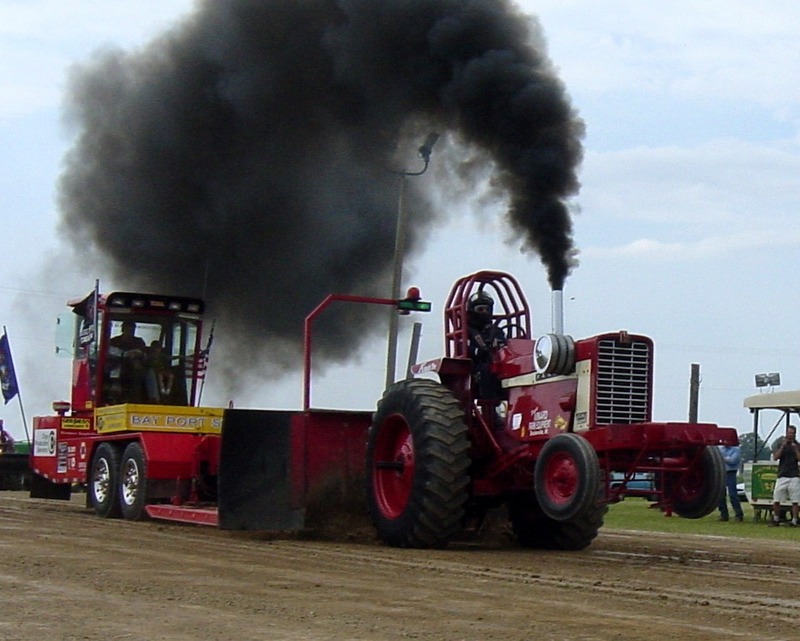 The modified tractor pulls are SO exciting. The roar of the machines, the smoke flies and the sled is hauled down the track. The crowd cheers and the tractor speeds off. How will we wait until next year for this much excitement? !